Spotted from the runway to the red carpet, this distinct hue instantly provides a sun kissed, just-got-back-from-vacation effect. So, why do we love it? This golden brown shade is a great way to go lighter without a demanding upkeep. Plus, while the color is very much on-trend, it’s still natural looking and effortlessly elegant. If you’re after a fashion-forward hair color this season, bronde might just be the one! A special triple-action expert brush inspired by professional salon techniques combined with highlighting formulae calibrated for all bases gives ultra-blended highlights with no lines or streaks for a color result between blonde and brunette, a perfect bronde. Traditionally, brown and blonde have existed separately. On the one side, women who favor rich, natural brunette tones in their hair and on the other, blondes who prefer a lighter, brighter color result. Indeed, both can be beautiful and throughout their lifetime, many women will find themselves switching shades. But the Bronde hair color trend means you are no longer forced to choose between the two. The clue is in the name: Bronde is a color technique that fuses brown and blonde, to create a flattering, sun-kissed color result. If you’ve never had color before or are afraid of too drastic a change, Bronde could be the ideal technique to try. It gives a subtle, bright, incredibly natural result so it will enhance (rather than completely change) your look. Plus, it’s incredibly low maintenance so you don’t have to worry about re-coloring regularly – just when it suits you. Bronde is ideally suited to warmer skin tones to enhance natural coloring and it can be very complimentary as you get older. With Bronde, blondes can enjoy an elegant color result with added depth and dimension, whilst brunettes have their look lifted and illuminated. It’s a perfect way for brunettes to get a bit of blonde in their hair without going Platinum! Colours Salon has partnered with L’Oreal Professionnel to bring you this latest look. Our philosophy is that you never stop learning. We are always looking for new techniques and trends to bring to our clients. Call us at 410-252-0933 to make an appointment. Founded in 2002, Mirabella was designed to provide a luxury cosmetic brand to complete the salon beauty experience. Mirabella International was launched in 2010 and now spans across the globe. We know you wake up feeling girly one day and glam the next. Try a beauty line designed to handle all the faces of being a woman. Experiment, have fun and live it up with a new look. Mirabella has created clean products that don’t skimp on the color. Colours Salon carries a full line of Mirabella products. Get glowing with Mirabella mineral makeup! Color on the cheeks brightens up your entire face. Mirabella offers a complete line of mineral blushes, bronzers and highlighters. Like all Mirabella products, our blushes and bronzers are gluten and paraben free. Get a beautifully radiant look without weighing skin down with heavy ingredients so many other products leave behind. Mineral makeup – From our mineral-based foundation to our mineral bronzer, face highlighter and face pigment, all our products for the face go on light to the touch, offering exceptional coverage without a heavy, uncomfortable feel. If the eyes are the windows to the soul, artistically applied professional makeup is the light that lets them shine. Explore Mirabella’s complete collection of mineral eye shadow, eyeliner and other head-turning products to find just the right combination to suit your personal style. * Mineral eye shadow – Talc and paraben free, this extensive line of colors offers a variety of options from pigments that deliver shimmer and shine to those that create a perfect matte look. * Mascara – Rich colors that glide on easily. * Eyeliner – When well-defined lines are a must, so too is a colored eye pencil that glides on smoothly. * Magic Marker Eyeliner – Sometimes bolder is just better. FABULOUS LIPSTICKS! Available at Colours now! Be sure to inquire about Mirabella’s complete line of products available at Colours Salon. Go to www.colourssalon.com or call 410-252-0933. Cold weather brings artificial heat which is your skin’s worst enemy. Colours Salon has some great suggestions. If you are experiencing dry skin from head to toe, a full body massage with essential oils is the best way to replenish and restore healthy skin. Our massage therapist, Hannah, offers a full range of body treatments to help relax you and condition your skin. If your face is suffering from the cold – chapped skin or skin that is reacting to dry heat – you might want to book a facial to increase moisture which will penetrate not only the surface layer but multiple layers that promote spa-healthy skin long after you’ve left the salon. Our esthetician will customize a specific treatment for your skin type and recommend products so that you may continue healthy skin care at home. Don’t ignore your hands and feet, which can become very dry and even cracked during the cold weather months. We recommend aparaffin treatment for hands and feet, from which you will see instant results. Try one of our spa pedicures or manicures which includes an exfoliation followed by a moisturizing masque. It is both relaxing and healing for the skin. Your hair also needs special treatment during the winter months. 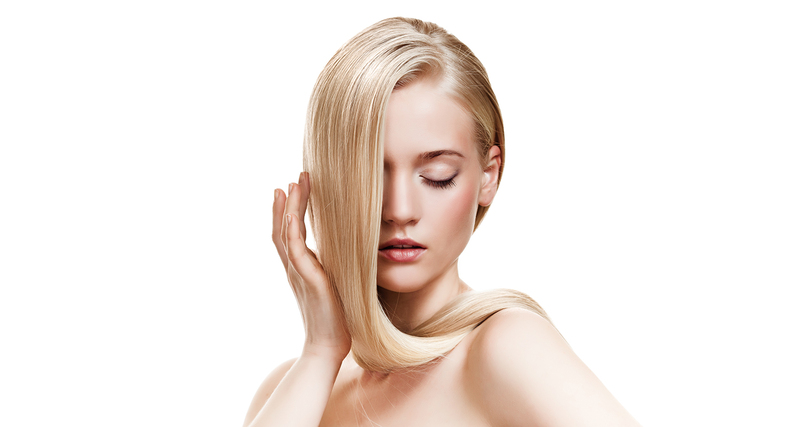 Colours Salon offers a myriad of deep conditioning and protein treatments. These include volumizing, moisturizing and strengthening. Talk to one of our beauty professionals about what is best for your hair type. No matter which part of your body is crying out for moisture this time of year, Colours Salon has an answer that will make your skin and hair look and feel its healthy best. Call 410-252-0933 for an appointment today. Feel free to ask questions about services. Our professional team can give you recommendations based on your individual needs. Go to www.colourssalon.com for a description of services. If you are a new client, please ask about our “new client” discount. If you’ve ever been to a fitness trainer at a gym, then “Blow Dry Boot Camp” is right up your alley. Or, if you’ve ever said to your stylist, “I wish I could get my hair to look this great at home,” then this might be just the ticket for you. Colours Boot Camp gives you the reins so you can learn to whip your hair into shape and you will receive inside tricks and tips that our stylists use every day. You can call today to enlist for “Blow Dry Boot Camp” by making an appointment. The cost for the training is. Groups of three or more – each. We ask you to bring the products, blow dryer and brush that you use at home. Techniques will include how to properly use a round brush while blow drying, body positioning and how much, and which kind, of product to use. You will leave looking fabulous and knowing how to create the same look at home. Any products and tools recommended by the stylist will be 25% off that day. We encourage small groups for a “Girls Night Out.” Lots of fun and you’ll look great when you leave! Special is good now through March 31, 2015. Where your beauty is our business. Colours new blog is being introduced today. Look for specials on all of our services – hair, nails, skin, body and products. We will feature new information about new styles, new products and the latest in education. At Colours Salon we ensure that our stylists are educated in the latest techniques and products. Look to this blog for the latest information. Please feel free to suggest topics for our blog by e-mailing us at colours.salon@verizon.net. To make an appointment, please call 410-252-0933.